Looking for Canon Powershot Accessories? 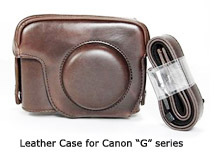 Accessories for Powershots cover the 4 main categories of Canon cameras. The high-end -"G" series, like the G11, G12, G15, G1x, and the "S" series like the S95 S100 S110 and the SX50 and SX500 IS. The "A" Series - point and shoot compact cameras like the Canon PowerShots A1300 and A2300. You can get just about all of the accessories for the "G" series cameras for under $100, like the genuine leather case shown above. Most of the accessories offered for the PowerShot ELPH series and S Series are offered as kits on retail sites like Amazon BHPhoto and Shop.USA. 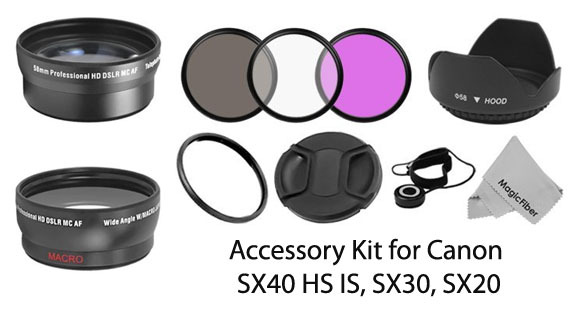 When buying one of these make sure the kit has the accessories that you really want and also that the kit is compatible with your specific Canon PowerShot camera. The canon accessory pictured below uses memory foam on the inside. 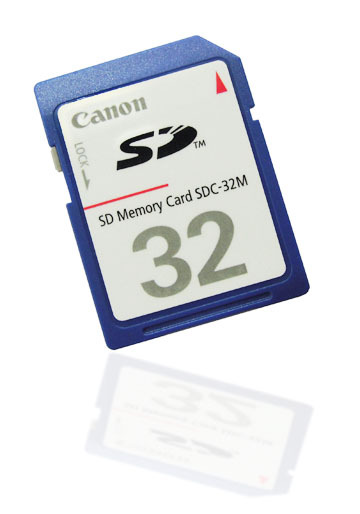 It is made specifically for the Canon PowerShot Digital Cameras A810, A1300, A2300, A2400 IS, A3400 IS, and the A4000. Some of the accessory kits are very camera model specific and some are general kits that will work with a series of cameras. 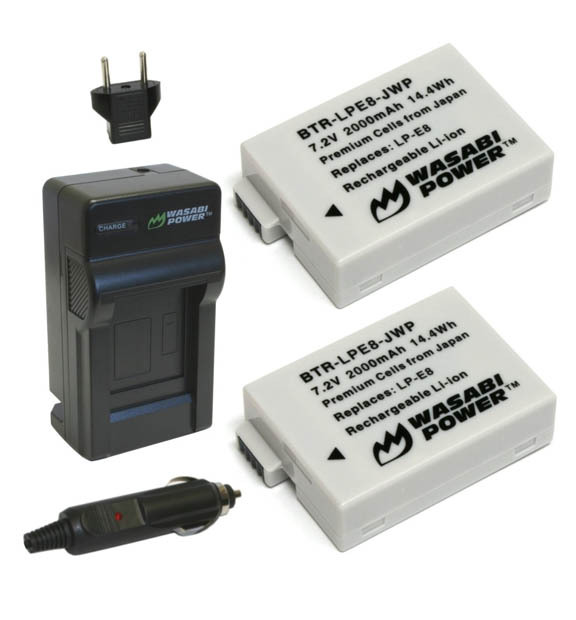 It all depends on the component/product mix within the accessory package. For instance, the PowerShot D20 Accessory Kit AKT-DC2	Accessory kit consisting of five newly designed parts. 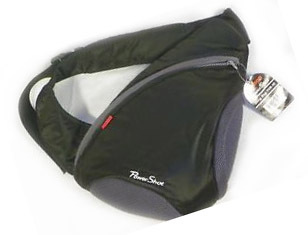 A Shoulder Strap, Carabiner Strap (waist strap type), Soft Case SC-DC80, Float, and Silicone Jacket. The Essential Kit for the Powershot SX40 HS in the photo above is marketed very specifically for the SX40, SX30 and SX20. It comes with a 2x telephoto lens, a .45x wide-angle lens, lens adapter, center pinch lens cap and the tulip-shaped lens hood. 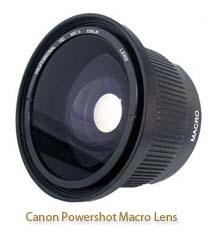 Also included as valuable Canon Powershot additions are UV, polarizing, and fluorescent filters and MagicFiber Microfiber Lens Cleaning Cloth. A well-fitting filter is simply the best way to protect your Canon camera lens. The Powershot "G" series of cameras will have the most extensive possibilities for a wide range of accessories. 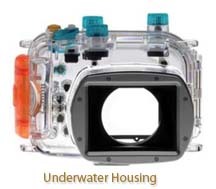 The Canon WP-DC34 Underwater Housing for Canon PowerShot G11 and G12 Digital Camera is pricey but offers a unique new way to get creative with your photography. Important accessories for your PowerShot might include a monopod. Monopods are one of the least utilized of the Powershot accessories. It's true that with image stabilizer lenses, higher ISO settings and faster shutter speeds that camera shake is less of a problem than it used to be. They are still very useful when supporting the weight of larger Powershot cameras and longer lenses. Monopods are even more appropriate to use when shooting video and the use of video is rapidly trending upward. Filters are not one of the accessories I have taken advantage of with the exception of a UV filter on all of my Canon lenses for protection purposes. If you have invested your money in a decent camera, it's vital to protect it. After all, no photo is captured without the light first passing through your camera lens. Canon Camera Lenses. Lenses made by Canon are perhaps one of the biggest product lines that have given Canon a reputation as a quality manufacturer. So, where is the best place to buy Canon PowerShot accessories? There are certainly many choices. I am a big fan of ordering products while sitting on my behind in front of my computer. I am sometimes guilty of investing several hours reading reviews on different web sites about a $15 book or a $30 add-on to my growing list of attachments and additions to my Canon camera arsenal. I have ordered a lot of equipment from BHPhotoVideo in New York because of their extensive camera inventory and delivery is often one day because I am so close. More recently I order from Amazon because of their free shipping, return policy and product reviews. This is an on line retailer that has a huge inventory of Canon PowerShot accessories. Of all of the different Powershot cameras mentioned above, only the "G" series has a hot shoe for using external flash. For me personally an external flash is one the most important digital camera accessories to own. I've never liked the tiny, underpowered and poorly placed built-in flashes that come with this format of camera. They come with compact Canon cameras as well as with all makers of compact digital cameras. I like my Canon Speedlite flashes, including a Canon 580Ex and a Canon 270EX II as well as a Vivitar and Quantum flash guns. Canon Powershot accessories can improve the results you get with your photography. They can also make some of your photography easier to accomplish and more enjoyable and that's what photography is supposed to be, fun. It's why I've been a photographer since 4th grade and it's why I share my thoughts with you as a Canon Camera Geek. Shoot more photos. Watch less TV.